Questions of national identity and foreign policy are usually linked when it comes to discussing Russia’s ambivalent relationship to the West, and especially to Europe. However, Moscow’s growing interest in its Asian neighbors is not without similar ambiguities. Its intensification of economic exchanges with China and Japan and its evolving strategic interests in the Asia-Pacific region are in part shaped by the elite’s perception of what Russia’s national identity is and should be. Identity debates in Russia do not take Japan and China into consideration in the same way: the memory of the Russo-Japanese war of 1905 is distant and less painful than that of the Zhenbao/Damanskii clashes with Maoist China in 1969. And yet, Russia settled all its territorial conflicts with China in the 2004 agreements whereas such conflicts still hamper its partnership with Japan. It is China’s rise to power and its ability—real or imagined—to reduce Russia to the rank of its junior partner, however, that provokes the deepest anxieties. By contrast, a Japan in decline is not perceived to bear much threat to the search of Vladimir Putin’s Russia for international recognition. This article discusses Russia’s security interests in the Asia-Pacific and how they shape and are shaped by the Russian elite’s perception of their Chinese neighbor and the growing narrative on Asia as being a potential alternative model to Europe for Russia. Russia’s national identity framework is built around two main issues: the relationship with Europe (debates thus bear on being part of Europe, part of Asia, straddling both worlds, or being separate from both)1 and the relationship between the state and its population (nation state, empire, multinational federation …). Similar to the other European states, Russia began to ponder its national identity from the second half of the eighteenth century. The idea of a specific path (Sonderweg) inspired by the Germanic example was counterposed to the claimed universalism of both the royal model and of the French republic and spread throughout Russia, both in university milieus and in aristocratic circles.2 The Slavophile current at the start of the nineteenth century ushered in an immense corpus of texts, conventionally defined as the “Russian Idea” (russkaia ideia), which established the atemporal traits of the national essence, traits that found various combinations in conjunction with the times: religious messianism (the myth of Moscow as Third Rome), Orthodox spirituality, the sense of the collectivity and of the person, belief in a central role of the state and/or the autocrat guiding the people, worship of the peasant masses as bearers of the “original” culture, and the idea that Russia and its imperial margins constituted a separate world, a unique civilization that the West could not understand.3 By presenting Russia belonging to Europe as the main problematic of national existence, these claims about the national essence turned Russian identity into a phenomenon that was fundamentally “mimetic and competitive”4 with the identities of Western Europe, which were at once a source of inspiration and condemnation. This mimetic desire stems from resentment at being inferior to Europe and from not having one’s admirers appreciate one for all one’s worth. For the first time in the history of modern Russia, Asia is no longer a barbarous and backwards place toward which Russia turns in order to take the European Enlightenment to it. In 1881, Fyodor Dostoevsky brilliantly expressed the essence of its position toward Asia: “In Europe we were Tatars, but in Asia we too are Europeans.”21 Today the context has totally changed. China’s growing power but also South Korea’s lesser rise, changes the balance insofar as it makes Asia look like a potential model of development for Russia. The Asia paradigm in Russia’s national identity framework has, therefore, been deeply modified: Russia wishes to continue to be an indispensable player on the key Asian questions for reasons of its identity as a great power: it no longer wants to be marginalized from international discussions on the Korean question, and asks to remain a partner to Chinese influence, but also relevant to a possible Japan-South Korea alliance. Russia also maintains its traditional stance on the relationship with Japan, whose relationship with it is still impeded by the question of the Southern Kuril Islands/Northern Territories.22 Both countries are beholden to their public opinion and intransigent nationalist lobbies. Moscow cannot choose to put into question a territory won at the end of WWII, so untouchable is the image of the victory of 1945. After Abe’s visit to the Yasukuni Shrine, while Russia did not join China in harshly condemning the move, its Foreign Ministry was critical of this “different assessment of the outcome of World War II,” and there was talk of Moscow growing more assertive in denying Japanese pretenses to be the victim in regard to the territorial question.23 Abe’s obsession with history and boosting national identity and Putin’s efforts to strengthen pride in Soviet history, especially the war, only widen the gap. If Sino-Russian relations are seen as a matter of realism, an “axis of convenience,”34 then they are likely to be tested by a change in either actor’s geopolitical outlook. Russian policymakers are increasingly concerned about the speed with which China is narrowing the strategic gap,35 and some even blame Beijing’s reluctance to grant it a status as an Asian power.36 Yet, if Russia sees China within the overall context of national identity, not just as a cultural “other,” then how it will respond to a widening gap is less clear. After all, the gap has been moving sharply in favor of China for two decades, during which time Russia has repeatedly drawn closer to China. While Russia is not at all prepared to accept China as a top-notch political or cultural power, or to become Beijing’s satellite, the national identity consequences of challenging China openly and looking elsewhere for support are scarcely discussed in writings about Russia’s strategic choices. Sinophobia and Sinophilia: Looking at Asia when Europe is Failing? The groups considered the most overtly Sinophobic are situated on the extremes of the political spectrum. The last pro-Westerners, ideological legatees of Yeltsin’s first governments, claim that Russia should be in near total agreement with the views on international politics espoused by the EU and the United States, and that it ought to focus its activism on the Western scene rather than Asia, China figures as Russia’s future enemy and its political regime is denounced as totalitarian: The impact of its power on Russia would be devastating—not only demographically and culturally, but politically as well—and would mean a return to past dictatorial regimes. Both extremes comprise tiny minorities excluded from decision-making, so their influence is small. Ruling political elites distinguish themselves by more nuanced viewpoints, with the Sinophiles basing themselves on short-term assumptions, and the Sinophobes on long-term perspectives. Since the “revival” strategies of the past decade, the Kremlin has implemented an offensive policy of multilateralism with the rising powers,41 in particular with China. It has also become more prominent in new theaters such as with conservative Saudi Arabia,42 and in former bastions of Soviet foreign policy. Moscow has sought reinforcement of its military and economic cooperation with India, and has developed friendly relations with countries virulently critical of American unipolarity, like Venezuela.43 China is an important element of Russian foreign policy, but not a unique one. They hope that Russia will be involved in Europe, the Middle East, Latin America, and Asia, and hesitate to grant China a status superior to others. At the domestic level, the population deficit in Siberia elicits numerous social fears linked to the risk of the disappearance of ethnic identity, threats to territorial integrity, and creeping “Sinicization.”44 The population decline in the Russian Far East Dmitry Medvedev has defined as “unquestionably the most worrying and most dangerous trend in the district, and something that requires our constant attention.”45 The theme of the “yellow peril” has, thus, become one of the most widespread clichés in Russia. Public opinion, as well as numerous experts and decision-making circles, have developed a catastrophic vision of Chinese demographic dynamism in the region. 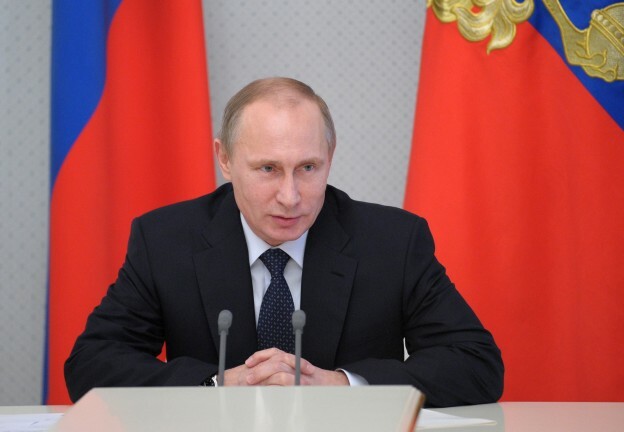 The main objective for Moscow is, thus, to benefit from Asian economic dynamism without jeopardizing national unity. The Kremlin calls for Russia to become more integrated into Asia, at the same time as it brandishes the threat of a Chinese-speaking Far East to be stopped only by introducing migration quotas. In 2010, the Kremlin’s interest in the Far East intensified again with greater force. As Vladimir Putin stated: “The Far East will always be a focus of our special attention (owing to) the very location of the district on the map of our country, and its geopolitical role.”46 The historical schema of “conquest” (osvoenie) has been revived by the Development Program for 2025. Its main aim is to halt the depopulation of the region by a “geopolitical undertaking of fixing the population,” to better integrate the region into the Federation, but also to turn it into one of the spearheads of the Russian economy. Official rhetoric states the need to integrate the Far East into the global Asia-Pacific world, but the state program remains silent or superficial on regional integration, with the exception of the ESPO and rhetorical declarations about Sino-Russian cooperation in new technologies. The development of the Far East is conceived mostly in autarkic terms, while the challenges of a border still open to illegal trade and dependent on legal trade that increases one-sided dependency on China, are passed over in silence.47 Without having been made explicit, it becomes apparent that the concealed aim is to securitize the region and transform it into a “rampart” should tensions arise with China. The Russian position is schizophrenic, claiming it should develop the Far East at all costs to avoid a security risk, whereas the Chinese neighbor officially poses no threat at all. Liberal voices are, however, becoming increasingly disillusioned by Europe, a concern strengthened by the 2008 economic crisis, the EU debt crisis, and the lack of political will to move forward. Sergei Karaganov, honorary chairman of the Presidium of the Council on Foreign and Defense Policy and dean of the School of World Economics and World Politics at the National Research University–Higher School of Economics, thinks that Russia’s growing desire to depart from the European way of development in favor of Asia carries the risk of a complete failure of Russia as a civilization, but does not see how Europe could renew the reasons to believe in it.54 Russia’s new priority for Asia is, therefore, promoted, but often as a “no other choice” strategy. The same conclusion emerged from Dmitri Trenin—director of the Carnegie Center in Moscow—after he questioned the paradox of valuing the economic and strategic partnership with China while refusing to see in it a source of modernization that Russia could emulate.55 Similar remarks have been uttered by key Russian experts on international affairs, including Yevgeny Bazhanov, Fyodor Lukyanov, and Vyacheslav Nikonov: they argue that Russia has no other choice than to look more closely at Asia not because its own identity is partly Asian—this argument, advanced by Eurasianists, is not really fashionable in the Russia of today—but because Europe is failing. Russia’s dilemma is not thereby resolved. How do Russians look to Asia as a model at a time when the rise of xenophobia is pushing public opinion to describe itself as Europeans or whites and to sympathize with populist movements in Western and Central Europe denouncing the “immigration threat”? This contradiction is coming to light with the partnership projects of the EU and the current debates around the Customs Union between Belarus, Russia, and Kazakhstan. Even if the Kremlin holds firmly to its position of favoring the free movement without visas of member citizens of the Customs Union, most Russian politicians, including many members of the presidential party, United Russia, as well as officials at the local and regional levels oppose such policies, instead calling for the introduction of a visa regime for citizens of Central Asian and South Caucasian states, following the opinion of two-thirds of the Russian population. Even if the Asia-Pacific is not Central Asia and both regions are clearly dissociated in the minds of the Russian population, it will be difficult to turn toward Asia without addressing xenophobia. Russia’s national identity framework continues to be shaped by two main issues, the relationship to Europe and internal national diversity. The context has, however, deeply altered in recent years, and the combination of Europe’s falling prestige, the rise in power of Asia in general, and of China in particular, and the increase of xenophobia have heightened Russia’s dilemma. How can Russia identify more distinctly with Asia when the population calls for a more pronounced European/white identity? How can it endorse more mechanisms of economic integration with the Asia-Pacific region (to say nothing of Central Asia) if this changes the domestic ethnic balance to the disadvantage of the Russian majority by increasing the number of Asian migrants? If most Russian elites recognize the need for both economic and political modernization, they know that it will be difficult to find it in Asia. China cannot be a consensual political model for Moscow, and its economic successes are mostly based on its being the “world’s workshop”; Japan is a declining power, and South Korea is not, at least for now, so powerful as to warrant being a model. Although weakened and critical, the West remains the main model of a political regime and of know-how and technologies. The Kremlin’s critical stance on the West, thus, has an ambiguous meaning. It does not say that Russia is not part of Western civilization but that Russia, as part of this civilization, puts forward another reading of Western identity. This nuance enables it to sustain another ambiguity of its national identity framework as regards Asia: Russia’s turn toward Asia can be strategic and economic, but will not have significance for its identity. 1. E.C. Thaden, Interpreting History: Collective Essays on Russia’s Relations with Europe (New York: Columbia University Press, 1990). 2. James Billington, Russia in Search of Itself (Washington, DC: Woodrow Wilson Center Press, 2004). 3. A. Walicki, The Slavophile Controversy. History of a Conservative Utopia in Nineteenth-Century Russian Thought (Indiana: University of Notre Dame Press, 1989). 4. Quoted in C. Jaffrelot, “Les Modèles explicatifs de l’origine des nations et du nationalisme. Revue critique,” in G. Delannoi, P.-A. Taguieff, eds., Les Théories du Nationalisme. Nation, nationalité, ethnicité (Paris, Kimé, 1991), 167. 5. Terry Martin, The Affirmative Action Empire: Nations and Nationalism in the Soviet Union, 1923-1939 (Ithaca: Cornell University Press, 2001); Y. Slezkin, “The USSR as a Communal Apartment, or How a Socialist State Promoted Ethnic Particularism,” Slavic Review 53, no. 2 (1994): 414-452. 6. Nina Tumarkin, The Living and the Dead: The Rise and Fall of the Cult of World War II in Russia (New York: Basic Books, 1994); A. Weiner, Making Sense of War: The Second World War and the Fate of the Bolshevik Revolution (Princeton, NJ: Princeton University Press, 2001). 7. A.L. Clunan, The Social Construction of Russia’s Resurgence: Aspirations, Identity, and Security Interests (Baltimore: Johns Hopkins University Press, 2009). 8. Jeffrey Mankoff, Russian Foreign Policy: The Return of Great Power Politics (Lanham: Rowman and Littlefield, 2011). 9. B. Dubin, L. D. Gudkov, “Nevozmozhnyi natsionalizm: Ritorika nomenklatury i ksenofobiia mass,” in Marlene Laruelle, ed., Russkii natsionalizm v politicheskom prostranstve (Moscow: INION, 2007), 276-310. 10. Oksana Antonenko, and Kathryn Pinnick, eds., Russia and the European Union: Prospects for a New Relationship (London: Routledge, 2009). 11. See the regular sociological surveys by the Levada Center, http://www.levada.ru. 12.Foreign Minister of the Russian Federation Sergey Lavrov visits Centre for Strategic and International Studies (Washington, DC), meets with politicians and journalists and gives a speech on “Russia in a Multipolar World: Implications for Russia-EU-US,” July 16, 2011, http://www.rusembassy.ca/ru/node/589. 13. Agitator Edinoi Rossii (Moscow: Evropa, 2006), 35. 14. On this topic, see the demonstration proposed by Dmitri Trenin, Integratsiia i identichnost’. Rossiia kak “Novyi Zapad” (Moscow: Evropa, 2006) or, in English, Getting Russia Right (Washington, DC: Carnegie Endowment for International Peace, 2007). 15. Suverennaia demokratiia: Ot idei k doctrine (Moscow: Evropa, 2006), 43. 16. Vladimir Gel’man, “Cracks in the Wall: Challenges to Electoral Authoritarianism in Russia,” Problems of Post-Communism 60, no. 2,(2013): 3-10; and G. Robertson, “Protesting Putinism: The Election Protests of 2011-2012 in Broader Perspective,” Problems of Post-Communism 60, no. 2 (2013): 11-23. 17. Marlene Laruelle, “Conservatism as the Kremlin’s new toolkit. An ideology at the lowest cost,” Russian Analytical Digest, no, 138, November 2013. 18. See the transcript of the speech at http://valdaiclub.com/politics/62880.html. 19. Russian Eurasianism. An Ideology of Empire (Washington, DC: Woodrow Wilson Press and Johns Hopkins University Press, 2008). 20. Andrei Tsygankov, Russia’s Foreign Policy: Change and Continuity in National Identity (Lanham: Rowman and Littlefield, 2013). 21. F. Dostoevskii, “Sobranie sochinenii v 15-i tomakh. Dnevnik pisatelia, 1881,” Nauka 14 (1995): 509. 22. Alexander Bukh, Japan’s National Identity and Foreign Policy: Russia as Japan’s ‘Other’ (London: Routledge, 2011). 23. “Russia to Argue ‘Historical Legitimacy’ in Northern Territories Dispute,” Asahi shimbun, January 6, 2014. 24. Shoichi Itoh, “Russia Looks East. Energy Markets and Geopolitics in Northeast Asia,” CSIS Report, July 2011. 25. John W. Bauer, “Unlocking Russian Interests on the Korean Peninsula,” Parameters (Summer 2009): 52-62. 26. Elizabeth Wishnick, Mending Fences with China: The Evolution of Moscow’s China Policy, 1969-99 (Seattle: University of Washington Press, 2001). 27. Mark A. Smith, The Russo-Chinese Energy Relationship (Defence Academy of the United Kingdom, Oct. 2010); Igor Danchenko, Erica S. Downs, and Fiona Hill, “One Step Forward, Two Steps Back? The Realities of a Rising China and Implications for Russia’s Energy Ambitions,” Brookings Policy Paper, no. 22, (August 2010). 28. See SIPRI annual report 2013 at www.sipri.org. 30. John W. Parker, “Russia’s Revival: Ambitions, Limitations, and Opportunities for the United States,” INSS Strategic Perspectives, no. 3 (2011). 31. Vladimir Shlapentokh, “China in the Russian Mind Today: Ambivalence and Defeatism,” Europe Asia Studies 59, no. 1 (2007): 1-22. 33. S. Saradzhyan, “Russia’s Diversionary Maneuver,” Zvezda Povolzhya, June 3, 2010, quoted in John W. Parker, “Russia’s Revival,” 22. 34. Bobo Lo, Axis of Convenience: Moscow, Beijing, and the New Geopolitics (Washington and London: Brookings Institution Press and Chatham House, 2008). 35. Vladimir Paramonov and Aleksey Strokov, Russian-Chinese Relations: Past, Present, Future (Defence Academy of the United Kingdom, Russian series, Sept. 2006). 36. Bobo Lo, “China and Russia. Common Interests, Contrasting Perceptions,” CLSA Asian Geopolitics (London: Chatham House, May 2006). 37. V. Shlapentokh, “China in the Russian Mind Today,” 1-22. 38. Vladimir Paramonov, and Aleksey Strokov, Russian-Chinese Relations. 39. On radical nationalist groups, see Marlene Laruelle, In the Name of the Nation. Nationalism and Politics in Contemporary Russia (New York: Palgrave, 2009), 49-83. 40. Marlene Laruelle, In the Name of the Nation, 90-95. 41. E. Wilson Rowe, and S. Torjesen, eds., The Multilateral Dimension in Russian Foreign Policy (London: Routledge, 2008). 42. Mark Katz, “Russia Greater Middle East Policy: Securing Economic Interests, Courting Islam,” Russie.Nei.Visions, no. 49, April 2010, www.ifri.org/…/ifrirussiamiddleeastkatzengapril2010.pdf. 43. Derek Averre, “Russian Foreign Policy and the Global Political Environment,” Problems of Post-Communism 55, no. 5 (2008): 28-39. 44. Mikhail Alekseev, “Migration, Hostility, and Ethnopolitical Mobilization: Russia’s Anti-Chinese Legacies in Formation,” in B. Ruble, and D. Arel, eds., Rebounding Identities: The Politics of Identity in Russia and Ukraine (Washington, DC: Woodrow Wilson Center Press, 2006), 116-148. 47. Debates on this issue occurred during the international conference The Russian Far East Region in North Pacific: view from Asia, view from Europe, October 14-15, 2010, Vladivostok, organized by the Pacific Institute of Geography of the Far East Section of the Russian Academy of Sciences, and the French-Russian Center for Human and Social Sciences. 48. Mikhail Titarenko, Geopoliticheskoe znachenie Dal’nego Vostoka. Rossiia, Kitai i drugie strany Azii (Moscow: Pamiatniki istoricheskoi mysli, 2008). 49. M. Titarenko, Geopoliticheskoe znachenie, 35-36. 50. M. Titarenko, Geopoliticheskoe znachenie, 191. 51. M. Titarenko, Geopoliticheskoe znachenie, 198. 52. M. Titarenko, Geopoliticheskoe znachenie, 87, 153. 53. Mikhail Titarenko, Rossiia. Bezopasnost’ cherez sotrudnichestvo. Vostochno-aziatskii vector (Moscow: Pamiatniki istoricheskoi mysli, 2003), 32. 54. Sergey Karaganov at the opening of the conference “Russia and the World,” 13th Annual Aleksanteri Conference in Helsinki, October 23, 2013. 55. Dmitri Trenin, “True Partners? How Russia and China See Each Other,” Center for European Reform, February 2012.